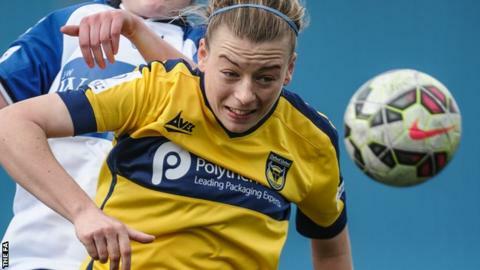 Oxford United Women have further strengthened their squad ahead of the new season with midfielder Kat Nutman agreeing a new one-year deal. Nutman, 23, joined the WSL 2 club in 2013 to combine playing with studying at Oxford University. The England Under-15 and Under-17 international made 21 appearances last season, scoring four goals. Oxford face Brighton in the Women's FA Cup third round on 7 February before the new WSL 2 season begins in March.